She already had a miscarriage due to her disease. Join hands and save her from lifetime misery! 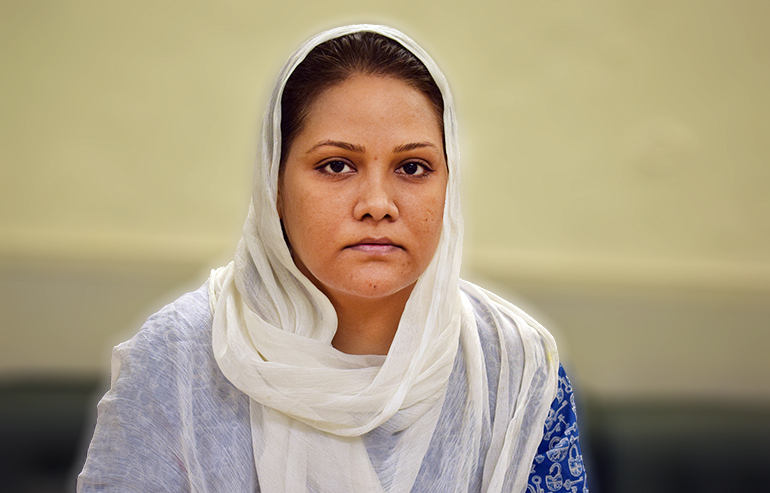 Kausar Khurram is a 35 years old woman who lives in a rented house of one room with her husband. Her husband works as a driver and earns 20,000 rupees a month out of which they pay 8,000 for house rent. Kausar got pregnant around two and half years ago but due to her disease, she experienced miscarriage. She went to a hospital where she was diagnosed to have uterine fibroids due to which she is unable to give birth. She had to sell her jewellery to bear the cost of medical treatment but even after few years, she didn’t get any relief from anywhere. Doctor told her that only way to get rid of fibroids is through surgery. Her husband’s meager salary and high medical expenses have exhausted all their life savings. They now have no funds to pay for Kausar’s surgery. She is suffering from severe symptoms these days including severe abdominal pain, heavy bleeding and weakness. She is bed-ridden most of the days due to weakness. When they came to know about Transparent Hands, they were relieved to know that Kausar will finally undergo required surgery and get rid of her disease. Kausar is scheduled for her Myomectomy in a few days at Akram Medical Complex. After her surgery, she’ll able to conceive and give birth without any issue. This poor lady requests you all to lend an immediate helping hand and support her so that she can lead a healthy and happy life.